My brother is in florida on vacation with his family, and they snapped this boat cupboard at the weekend at Cocoa Beach. 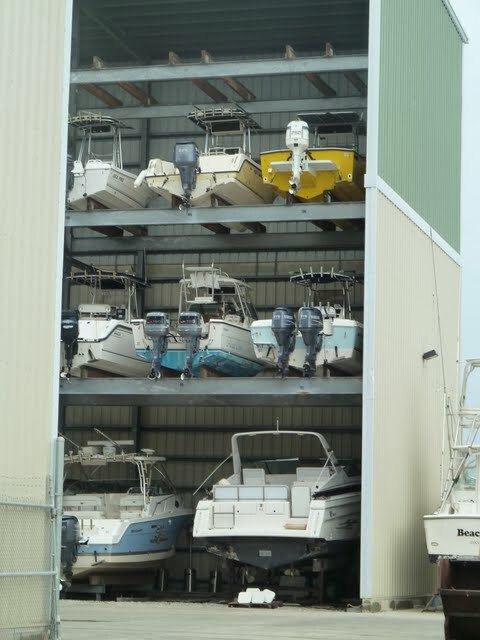 Now you know what to do with your boat in a hurricane! A boat cupboard. I had no idea. Great photo! me neither – but its makes a great photo – and they were waiting for hurricane Irene to strike when the photo was taken! Hi , Apparently its quite a common sight in the US. Mind you the fork lift truck that was there to lift them in place was massive!! !